The simplest way to appreciate the power of a high-quality product recommendation engine is to remember what shopping was like in the dark ages of the internet — back when going to an e-commerce site ensured you’d be met by alerts for sales on items you didn’t want to buy and pages you couldn’t navigate. Nowadays, the bar is set much, much higher. The best sites use sophisticated product recommendation algorithms so that each user feels they are getting a completely personalized experience. Compare the Netflix homepage, which arguably knows me better than my best friends do, to what it used to be like to aimlessly wander the aisles at Blockbuster (RIP). Today’s consumers expect a personalized experience while using the web, and if you want to boost your conversions, you’ll give it to them. Businesses that personalize their web experiences see a 19% boost in sales, 56% of online shoppers are more likely to revisit a site that offered intelligent product recommendations, and Netflix believes its personalized recommendation engine is worth at least a billion dollars. That said, more basic product recommendations are still effective and should be leveraged to maximize your online performance. Now let’s talk about exactly what a product recommendation engine is and how you can optimize one to improve pretty much any KPI you care to measure. Product recommendation engines are systems that present relevant product information to users as to nudge them to take actions that benefit both the user and the store. These recommendations can come at any time in the shopping journey — from landing pages to shopping carts to follow-up emails. Product recommendations can be as simple as presenting each new user with a list of best selling items or as complex as using an algorithm that shows each visitor a dynamically updated set of products. They analyze user data, both on and off-site, in order to showcase products a visitor is more likely to purchase. These user profiles are then stored and dynamically updated with each new interaction the visitor has on-site. The type of product recommendation you engage in will vary based on your business and your customers, but here are the best product recommendation practices to keep in mind no matter what you are selling. One of the simplest forms of product recommendation is one that doesn’t require any advanced tracking — showcasing your best sellers. All you have to do is keep track of your popular products and make sure to repeatedly highlight those items to the user. 80% of a company’s profits tend to come from 20% of the products sold (in line with the Pareto principle). So it’s generally good business to point people in a direction that is proven to make you money. You can be clever with how you go about this, such as how J. Crew includes a “Best Seller” label on products while you browse the site. 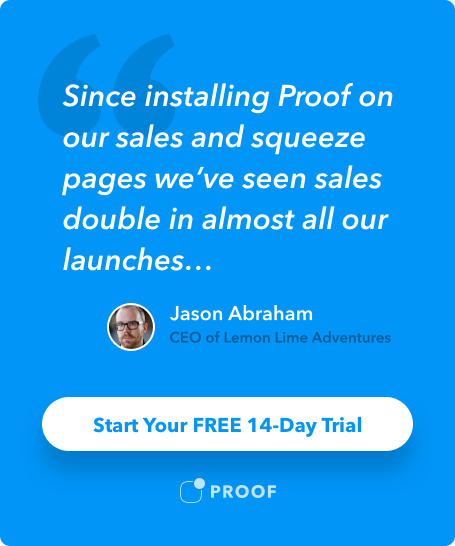 These labels also add social proof that would otherwise be missing, and social proof notification can help drive conversions. People want to be up on the latest trend. It’s just human nature. Etsy encourages shoppers to be trendy by showcasing the popular items of the moment directly in the middle of their homepage in the Popular right now section. Another great example can be seen with Banana Republic, where visitors are encouraged to “shop the look.” If you’re fashion clueless and wouldn’t know a desert boot from military-issued combat gear, these pre-selected looks can be a lifesaver. Once you click on an item, the product recommendation engine generates clothes and accessories that pair well with the look. It’s like having a stylist in your pocket. An effective way to get your visitors to act on a trend is to build buzz. There’s no better way to do that than by showing users in real time that people just like they are buying the product online. See below how Lawnstarter is able to show a recent conversion on the bottom left of the screen to encourage other users to take action. As nice as it would be if all your visitors bought your most expensive product, the reality is that most shoppers are looking for a deal. If you want to appeal to the greatest number of visitors, you should recommend some sale items from your product line. This can help you sway someone who is on the fence, as two thirds of consumers have made unplanned purchases based on finding a discount and 80% of online shoppers are more encouraged to buy from a new brand if they find a deal. Macy’s, for instance, usually has sale items being recommended front and center on their homepage. Products with higher star reviews lead to a much higher volume in sales compared with un-reviewed products, again reiterating the power of social proof. An effective product recommendation engine will prominently display your highest rated items more prominently, such as how Best Buy uses star rating to help people differentiate amongst similar looking TV’s. Modern tracking tools provide ways of knowing the general area in which your visitors live. Savvy sites can leverage this information in a non-creepy way in order to generate interest. For instance, when I go to Walmart’s site while in Chicago, I am encouraged to look at what other people in Chicago are buying. I’m not sure why microwaves are trending in Chicago (maybe it’s so cold people are exclusively using their ovens as extra heaters? ), but I definitely wanted to click to learn more. Oftentimes the data used to generate the recommendations come from on-site behavior. You’ve probably noticed how you are apt to see a section called “you may also like” while browsing a product online. This is because the product recommendation engine is using something called collaborative filtering. That’s a fancy way of saying that the algorithm keeps track of the preferences of many users and notes which items tend to be viewed in conjunction with one another. Think of it like leveraging the wisdom of the crowd. As an example, take a recent experience I had looking for shoes on Nike.com. After I clicked around for a bit, I was shown a recommendation widget that did a pretty darned good job of showing shoes I’d be interested in purchasing. Interestingly enough, even though I was searching only for shoes, their product recommendation engine used collaborative filtering to also recommend a running top to go along with the shoes. Collaborative filtering is highly effective. A study from McKinsey showed that it can increase sales by 20% — not too shabby. Even more powerful than what people are viewing is what they are buying. That explains the near ubiquity of displays on e-commerce sites that show what similar shoppers have purchased. Amazon has vast troves of data at their disposal, and their product recommendation engine filters it all in order to entice you to check out what your peers are buying. Their “frequently bought together” section is still the gold standard in this regard. But Amazon doesn’t stop there. They continue to make product recommendations even after you put the items into your shopping cart, as they realize that someone who is about to make a purchase is in the right frame of mind to add a few more items to their cart before checking out. It’s the digital equivalent of placing some candy by the checkout aisle in the supermarket. You just can’t resist it. This type of purchasing based recommendation also draws on our innate desire to be part of a crowd. Things just look more enticing when we know our peers already are on board. Another way to leverage this natural human instinct is through Proof’s Hot Streak feature. It’s a quick and easy way of showing a user that they are far from alone in wanting to buy a product, and it increased our conversion rates by 53%. Visitors arrive on a site from a variety of channels. Some know what they want, and some are more like that friend who asks what the chef recommends every time they go out to eat. If you provide intelligent guidance through a robust product recommendation engine, you will help your users make more satisfying choices while also boosting your sales.